the European Union continues to force the pace on transparency, while the United States proceeds at a much more leisurely speed and gives greater weight to privacy concerns than its European neighbours. John works with family offices on a cross-border basis and deals with structuring for UK residents and resident non-domiciled families. He creates structures for active entrepreneurs to hold business interests. He is recognised as a leading authority in the area of family governance and has written and spoken extensively on this topic. John founded RMW Law LLP in July 2011 with Samantha Morgan. RMW Law LLP is a niche legal practice dedicated to working for a limited range of international families and family offices. 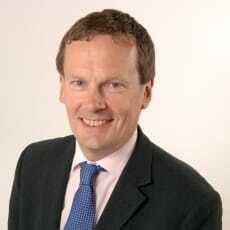 John remains a consultant at international law firm Withers LLP, where he was a partner from 1996 to 2011. John has had a variety of senior posts within the Society of Trust and Estate Practitioners over many years. As co-chair of the public policy committee, John has been responsible for liaising with national and supranational bodies on matters of tax policy affecting wealthy families, and has been consulted by the Organisation for Economic Cooperation and Development in respect of its initiative for high‑net‑worth individuals; he has also attended a number of sessions of the Financial Action Task Force (FATF) Private Sector Consultative Forum, where FATF seeks views from the private sector on its proposals and guidance to member states.